... and I counter those claims, even the 24-105 would beat out the 24-70ii in many scenarios. Nailed it. Stick to the flow chart, folks. You get what you pay for. I wouldn't risk having this happen during a wedding/paid gig. Imagine these things during a hot day. The "premium" price you pay for with a canon is build quality and with what they're going for in the used market, it's definitely worth saving just a few more benjamins for the vII. You get what you pay for. I wouldn't risk having this happen during a gig. Imagine these things during a hot day. Ya...I'm sure that hasnt been remedied yet. Yup, best advice for saving money in the long run: buy once and be done instead of buying twice and spending double the money. so what do you call it when you pay a lot more and then get coating loss with one outing at the beach via sea breeze? Canon literature states that every L lens (besides supertele's with a protective front element) needs a front filter to complete the weather sealing...this is the case for many lens makers out there. Tamron's front / inner element dropping out because it's held in place by glue is not quite the same thing. Funny that if a tamron falls apart, it's they're fault positive, when canon has faulty coatings, it's my fault...... this has nothing to do with weather sealing. The coating deteriorated due to salt mist, the lens is completely usable, the problem exists with the coatings, not water seeping into the lens. It's in the CR thread if you wish to read it, happened to many other users. It's likely that many dont even know the problem exists. Bad coatings = bad QC. Literally never happened to any other lens except this one. Rok 14, tamron 24-70, Canon 16-35, 24-105, 50, the list goes on. With the tamron, you can guarantee that they will fix it, with canon, you'll get the blame for it unless you get one of them to admit it's a problem. Probably not the place but I have Tamron SP 24-70mm f/2.8 DI VC USD that sits and sits. If you go through my Flickr you'll see I 99% shoot much wider or way longer. 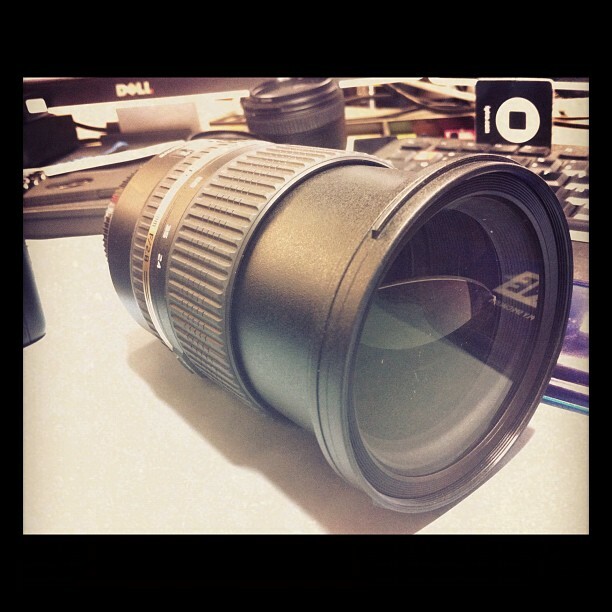 I do have Canon EF 24-70mm f/4L which I prefer due to weight and macro. I see, too, now. I understand where you are coming from more. You basically dislike Canon lenses in general. Explains a lot. I just got back from Cocco Beach for a week long shoot. No problem with any of my gear. Just lucky I guess. Do you really not see or are able to tell the difference between an element falling out and salt water blowing onto a lens? Just curious.